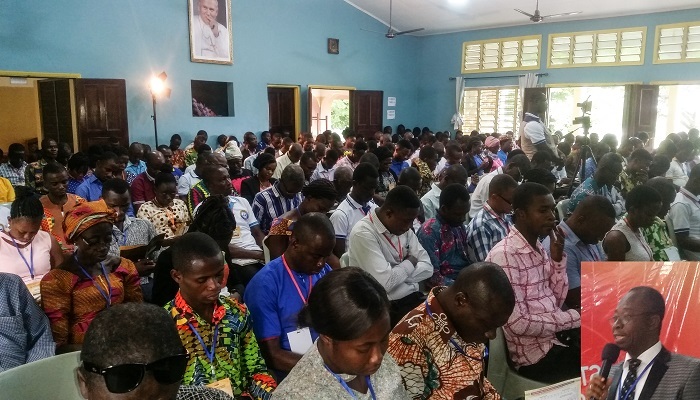 The Obuasi Area of The Church of Pentecost has ended its maiden strategic consultative summit which took place at the Pope John Paul II Formation Centre, Ofoase Kokoben, near Anhwiankwanta, from 17th to 20th May, 2018. The event was organised to form and find feedback and fix pending critical issues bothering the church, with 300 selected leaders, officers and ministers throughout the Area attending. The summit highlighted critical issues like: sexual immorality among members/officers of the Church in the Area, low mid-week church attendance, hindrances to Lord’s Supper participation and high level of illiteracy and poverty among members/officers of the Church in the Area. In his keynote address, the Area Head, Apostle Martin Seth Appiah, highlighted eight responsibilities of a Christian leader: ruling the flock of God (Psalm 72: 7-8), teaching the flock of God (Ephesians 4:11-15; 2 Timothy 2 : 1-3; 4:1-5), shepherding the flock of God (Psalm 23:1-6; John 10; Ezekiel 34; Acts 20: 28-31), overseeing the flock of God (3 John :9), caring for the flock (Jeremiah 23: 1-5; John 21:16), governing the flock (Romans 16:17-18; Colossians 2:18-19; 1 Corinthians 1:10-18), living for the flock of God (James 5: 14 -15) and safeguarding the flock of God which, he said, is to protect the pulpit, hence leaders must be careful of who is called to preach to the flock. Apostle Appiah prayed that the summit will have a positive impact on the Church.